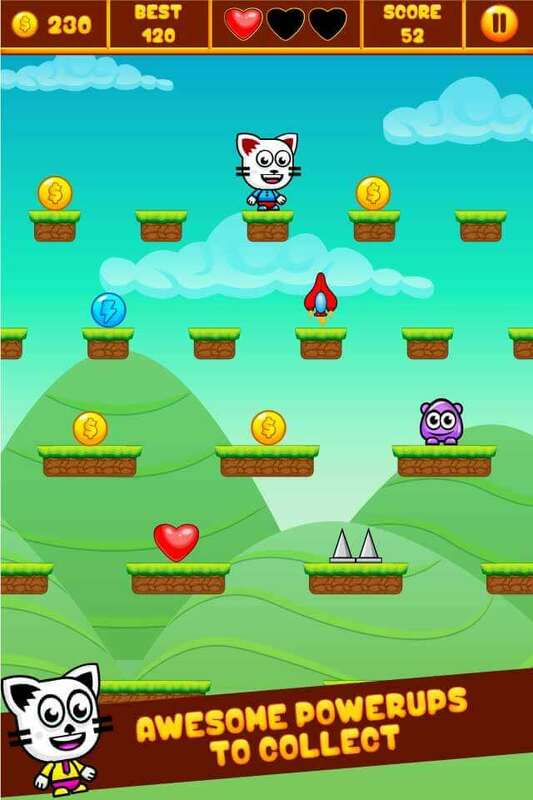 Jumper Kitty is an Unique Arcade Jumping Game! Help the Kitty to jump along platforms as far as you can! How far can you Jump? Help her in collecting coins along the way. Improve your skill with this challenging game. 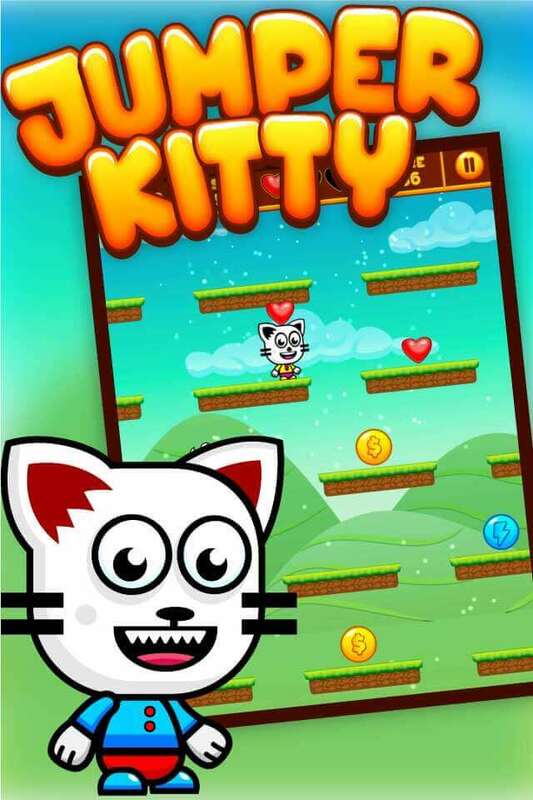 Tap the screen to make the kitty jump from platform to platform. 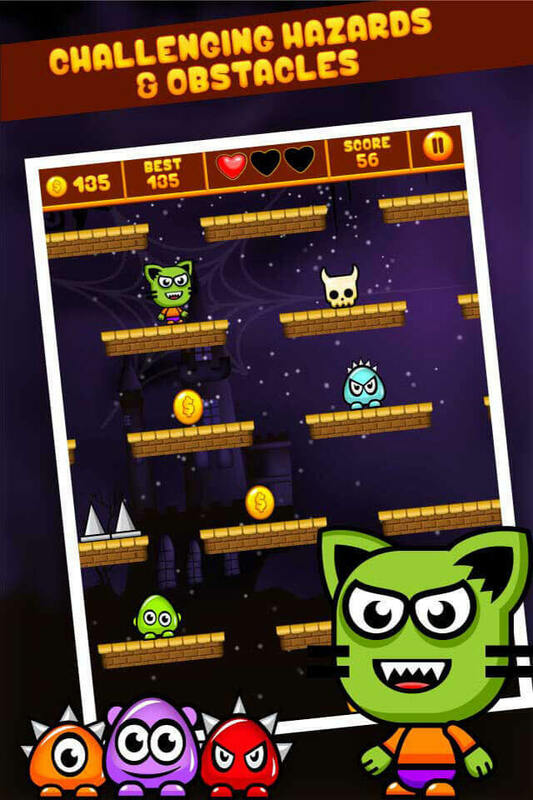 Avoid monsters and obstacles who want to catch the kitty. If you're lucky you might also get rocket rides, or super power jump! 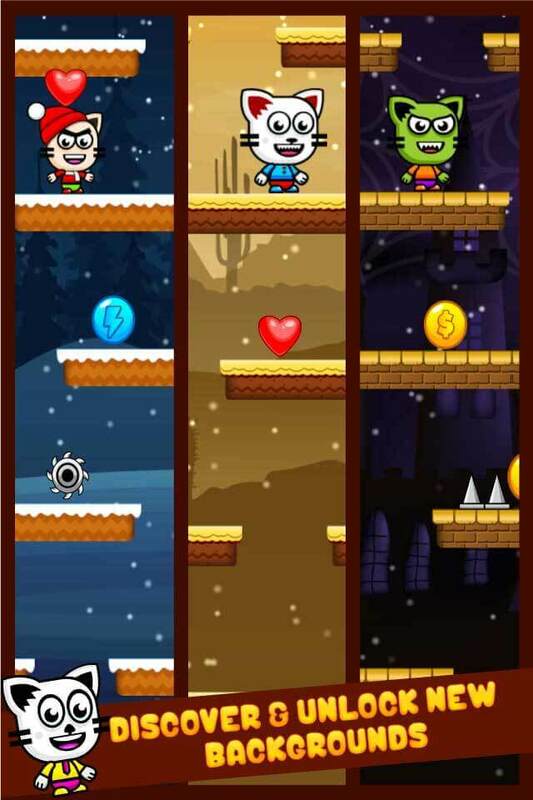 Collect as many coins as possible and use them to have more fun with new kitty and backgrounds. 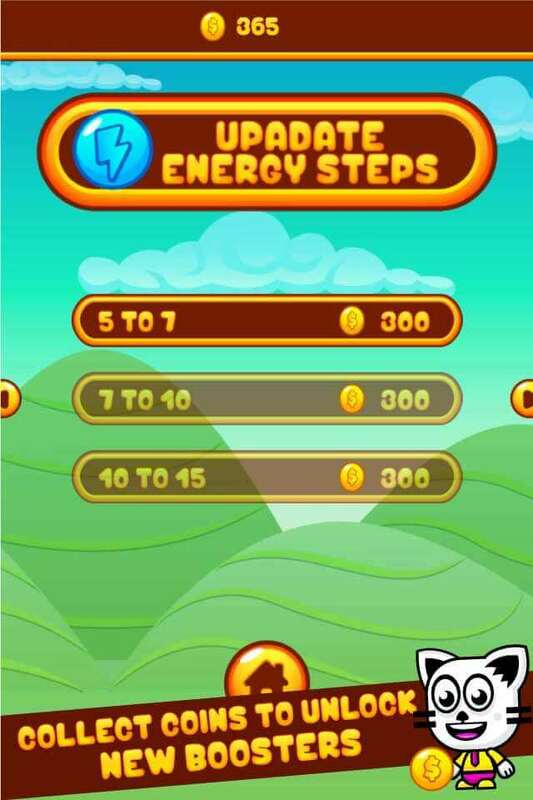 Collect coins and power-ups and buy updates to get new high scores.